This year, Kula Shaker release K 2.0 – a companion to their seminal debut, K, released in September 1996. At the time of this interview, I'm huddled in a quiet corner of a restaurant in New Delhi and I'm asking the Kula Shaker frontman to walk me through the story of K with 7000 kilometres between us. I start by asking him to tell me about what it was like to release K twenty years ago. He makes an unconventional Blake reference, referring to Songs Of Innocence And Experience – a book he describes as “one of the great classics of literature.” In it, Blake walks the reader through the joys and perils of youthful naïveté. “What does that have to do with K?” I ask. K was – and still is – a landmark album. It reached me through Indian cable television the year it was released, but it wasn't until many years after that I learned that its reception in its home country was… mixed. I ask Mills what he feels the reason behind its criticism was. Indian influences aside, K was born in the belly of Britpop and, while that could have worked against it, the album managed to turn the era to its advantage. Regardless of how neatly it fitted the Britpop mould, K was something else. A band of four Brits turning Hindu mantras into 60s infused pop melodies was bound to stand out. The innocence and positivity on K lies in stark contrast to its cynical successor Peasants, Pigs And Astronauts – an album whose dystopian lyrics are just as applicable today as they were in 1999. I can't resist pointing out the dichotomy. 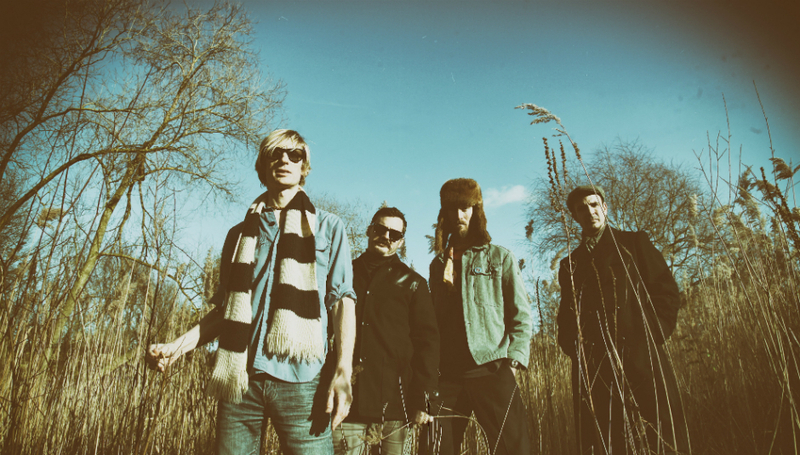 Kula Shaker never really revisited their sound on K. Their style changed across each successive album, seemingly moving away from the band's original aesthetic. I ask if there's any chance we can expect a return to their roots in the future. The closest we'll get, I learned, is the release of their first live album. A lot has changed in twenty years, and if the music industry was a lions' den/snake pit then, would K have survived today? I've caught Mills just ahead of Kula Shaker's tour of Japan and the UK. “K is an album that was designed to be heard in one go,” he tells me. “When we're on tour in Japan and the UK, we're going to be playing it in its entirety.” He doesn't see me nod and plan my trip to London. I ask him how the shows are doing, and to tell me about the people who come see them play. At 9 years old, when I first heard K, I thought it was beautiful. At 29, it’s still beautiful. I'm not yet tired of the chaotically spiralling guitars on 'Tattva', and 'Govinda' still manages to soothe me at my most savage. The strings that open 'Hollow Man (Part 2)' are exquisite enough to have generously 'inspired' Radiohead (cough 'Faust Arp' cough), while 'Start All Over' is as sweetly romantic today as it was then. And then there’s '303', whose whirlwind cityscapes and unrestrained recklessness can still melt my cold, dead heart. The 20th Anniversary Edition of K is out now via BMG, and Kula Shaker are currently on tour in the UK and Japan. For more information, visit the band’s official website.